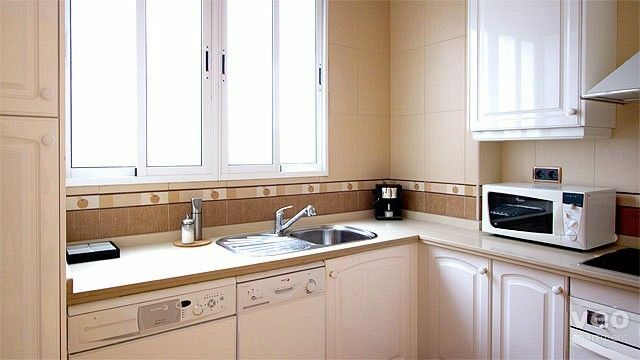 Amplio apartamento de 2 dormitorios en el barrio Arenal, junto a la Plaza de Toros de Sevilla. Ubicación central entre el río Guadalquivir, el ayuntamiento y la Catedral. 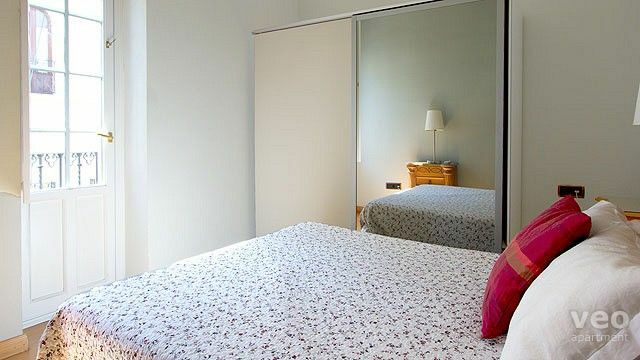 Un dormitorio dispone de cama doble y el otro dos camas individuales y una ventana con vistas a la Plaza de Toros, justo por detrás del edificio. El salón tiene dos grandes ventanales que dan a la calle Antonia Díaz, proporcionando mucha luz natural. 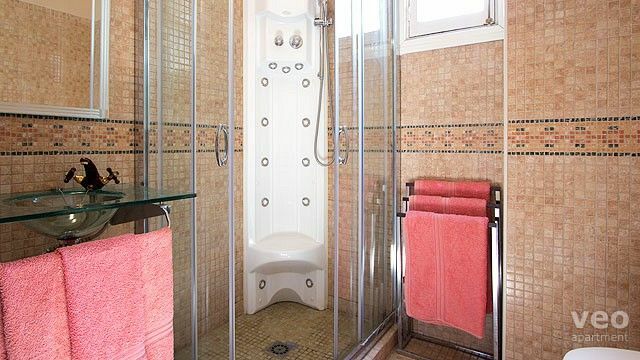 Hay un cuarto de baño con ducha y una cocina completa en una habitación separada. Aire acondicionado frío/calor. 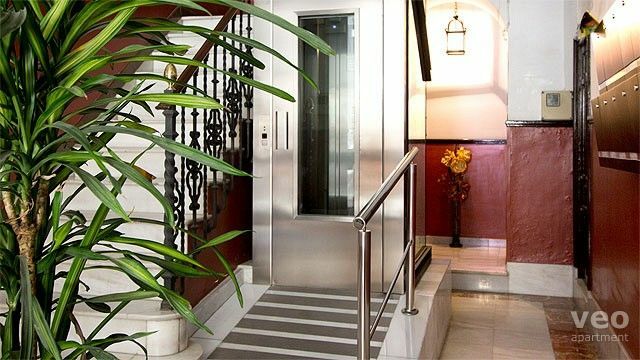 "Antonia Díaz" está situado en la primera planta de un edificio con ascensor. El Arenal es uno de los barrios más atractivos de la ciudad. Está situado entre el barrio de Santa Cruz y el paseo del Río Guadalquivir. En el Arenal podrá disfrutar de una gran variedad de atracciones culturales y de ocio: asistir a una corrida de toros o a un concierto u obra teatral en el Teatro de la Maestranza; visitar el Museo Naval de la Torre del Oro o realizar un tour en barco por el río. 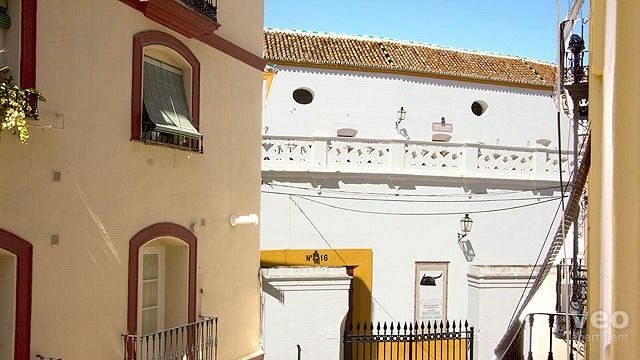 Un breve paseo por las calles del Arenal le llevará a los monumentos más emblemáticos de Sevilla, la Catedral y el Alcázar, situados en el barrio Santa Cruz. El Arenal es uno de los mejores barrios para salir a comer. Aquí podrá degustar la exquisita cocina regional de sus restaurantes y bares de tapas, la gran mayoría con terrazas al aire libre. El Arenal La Plaza de Toros, la Torre del Oro, el Río Guadalquivir, bares y tabernas típicos. 15:00 a 20:00h. Suplemento para llegadas de 20:00 a 23:00h: 20 EUR (a abonar en efectivo a la llegada). Suplemento para llegadas de 23:00 a 02:00h: 30 EUR (a abonar en efectivo a la llegada). Posibilidad de entrar antes de la hora establecida, bajo disponibilidad. Solicítenlo con antelación. Cuna: 25 EUR (1-7 noches). Avisar en el formulario de reserva. MI VALORACIÓN ES MUY BUENA TANTO POR LA SITUACION COMO POR EL APARTAMENTO EN SI. "Fantastic apartment in central location"
Really spacious and beautifully appointed apartment. Full length windows open out from the living room and both bedrooms. Everything you could possibly need in terms of kitchen equipment etc. 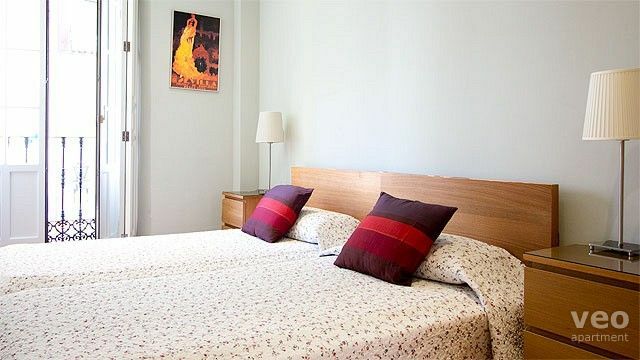 Great location in Arenal - you can walk to pretty much anywhere (Giralda, Santa Cruz, Triana, Museo das Bellas Artas, Torre del Oro, Feria, Macarena). L'appartement est très bien situé dans Séville. Il est spacieux. Nous avons passé un très bon séjour malgré la pluie ! 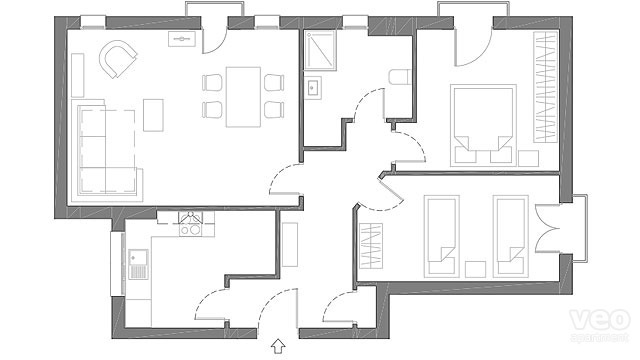 Very central location, good sized rooms. Nice bathroom. A great find! 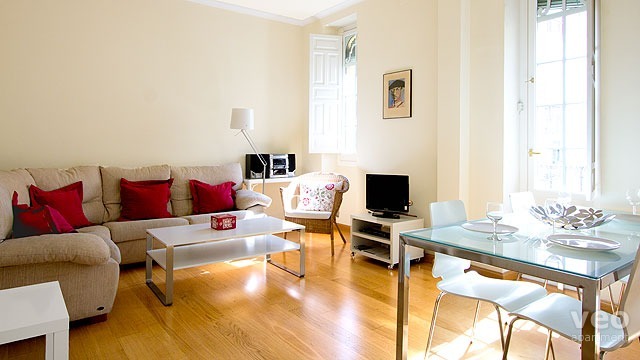 This apartment is well equipped for a comfortable stay in Seville. The kitchen is well stocked with lots of dishes, pots and pans for those wanting to enjoy a meal at home. It is close to many of the attractions, bars and restaurants. There were a few issues though, which indicated that closer attention needs to be paid by the owner or Management of this unit. One in particular, is the lack of cupboard space for grocery items. We had to clear away a couple of the shelves in the pantry area to accommodate some basic supplies since we were there for 21 days. I feel that could've been handled prior to our occupying the apartment. There were a few cleanliness issues as well - two of which was communicated to the Manager, and the rest I handled myself. I must say that I got an immediate response from both the management company and the owner, and things were handled speedily. I indicated that this is a convenient location in The Arenal district, however, light and early sleepers should be aware that Calle Antonia Diaz is a fairly busy street and particularly on Friday and Saturday nights, the delightful Bodega Antonio Romero restaurant opposite, is a very busy and lively establishment and earplugs might be handy. "Schöne Wohnung in idealer Lage"
Die Wohnung bietes alles, was man benötigt. Ankunft und Schlüsselübergabe liefen perfekt, die Wohnung war sauber, gut ausgestattet und bot viel, viel Platz. Die Lage in Sevilla ist hervorragend, nur wenige Gehminuten zur Kathedrale. Sevilla ist auch nachts nicht immer ruhig. Wenn man die Nächte nicht im Nachtleben der Stadt verbringt, empfehlen sich besonders für das Wochenende Ohropax. Die sind aber unserer Erfahrung nach in Spanien immer "Pflichtgepäck". Insgesamt sehr empfehlenswert! "Ideal location, clean, spacious and well equipped." Good located .... We were disappointed there was no WiFi and we had to unblock the drain. The shower as it was blocked with Lot of hair. Response from the owner: Thank you for taking the time to write a review as we are always looking for ways to improve the service to our guests. First of all we would like to apologize for the state of the drain. We have taken this issue up with the cleaning company and they have assured us that it will be looked at in future. With regards to the Wi-fi internet connection, this was due to a problem with the internet service provider and unfortunately something that was beyond our control. We have now changed to a different provider and have had a new ADSL router installed. 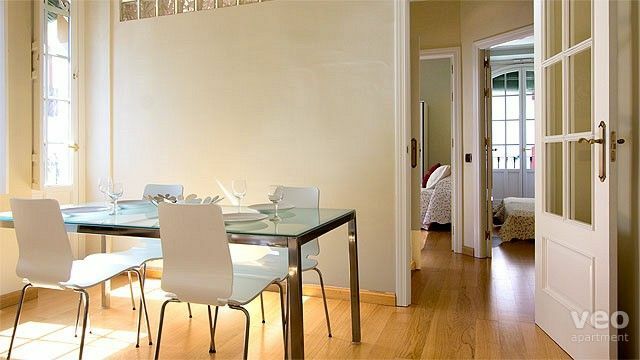 "A lovely apartment, ideally situated to enjoy Seville. " Very clean and comfortable. Thoughtfully furnished. With every convenience.